The Department of Linguistics and English Language is organising an ELT symposium in honour of Alan Waters on the 24th of February 2017. This will be an opportunity to discuss his contribution to the ELT field, get to know about some on- going ELT research as well as share personal memories about Alan. We also plan to organise a fell walk on the 25th of February. UPDATE: Unfortunately, the weather forecast for Saturday 25th is very poor. Instead of the fell walk, we will visit one of Alan’s favourite pubs, the Sun Hotel in Lancaster. it’s on 63-65 Church Street. Please come along just before 12.00 (midday) and join us for lunch or a drink. Alan very much enjoyed walking in the Lake District and in his website he mentioned that Lake District was “probably the best reason to live in this area.” As a part of the symposium, on Saturday 25th of February, we are organising a fell walk in the Lake District in memory of Alan. The walk will be family friendly, starting at Ambleside and taking about 4 hours with pauses and one short climb en route. A shorter route taking about 1 hour and ending at a pub is also available for those who want to take it easy. The walk is accessible via public transport – we’ll post details soon. Please bring: warm clothes, a rain jacket, hat, sturdy shoes, lunch and water/tea to drink. 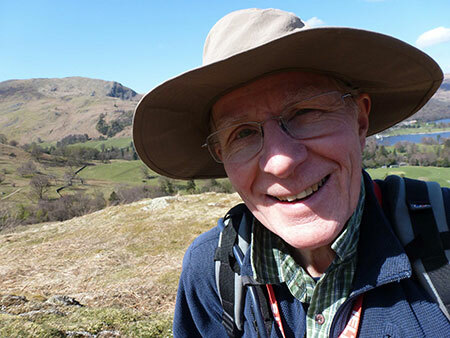 Read about Alan’s Lake District walks. Traveling by train in the UK is much cheaper when booking your ticket ahead and buying an ‘open return’ ticket, e.g., via www.thetrainline.com. Should you wish to use a taxi from Manchester Airport, we recommend Martin’s Airport express: martin.airportexpress@gmail.com Tel: +44 (0)7435 970430. The university’s travel page provides further detailed instructions on how to get here by car, rail, bus, air, and bicycle. The symposium venue (FASS meeting rooms) is situated in FASS Building, i.e., number 21 on the Campus map. On-campus bed and breakfast accommodation where you have the choice for incl./excl. breakfast. There are plenty of breakfast opportunities on campus (walking distance from B&B). If you prefer staying in Lancaster (town), please see the links below, which might be helpful. Traveling to campus takes ca. 15 minutes by bus and there are several buses on a frequent basis. Please consult the University’s travel page for details. Taxis to campus should be directed to the FASS building (County Avenue at the north end of campus).